Receive exclusive offers PLUS get $10 off a $50 order right now! Orders must be placed before April 30, 2019. 10% Off Foil Rolls and Fusing Machines - Toner reactive foils bring the brilliance and convenience of foil printing into the hands of all users, from individuals to businesses. Previously only achievable in print shops with specialty equipment, these new unique foil rolls let you make beautiful foiled prints with just a few tools. Also called foiling machines, foil fusers are special pieces of equipment that can quickly add foil to your toner printer pages using our thermal reactive foil rolls. They are fast, efficient, and perfect for larger operations that create foiled prints for clients or internal documentation. They are a great choice for turning plain printed pages into gorgeous foiled prints in higher volumes because, once set up, you can continuously feed pages until your job is complete. And this April you can get 10% off ALL foil rolls (metallic, matte, holographic, glitter, & more!) and all foil fusing machines with coupon code SPRINGFOIL. Hurry, this offer expires on April 30th, 2019. 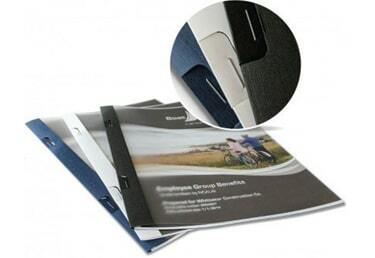 15% Off Side-Staple Quick Bind Report Covers - These quick-binding report covers bring the convenience and look of a professionally-bound document, without actually needing a specialty binding machine or outsourcing. Just place your pages into the cover and staple the flaps on the spine. That’s all you do to make these premium bound reports with a clear matted front and a classic cardstock linen spine and backing. Already priced to sell, with promo code AGILITY15 you can get an extra 15% off these covers. This deal is a steal! Expires April 30th, 2019. Clearance Sale - Everything must go! Find discounts as much as 80% off on clearance now. 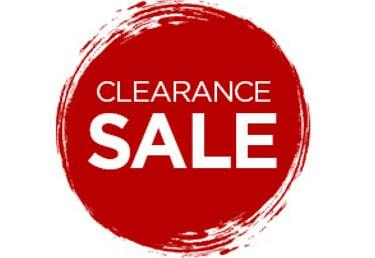 Items are on clearance when they are overstocked or discontinued, and the discounted pricing is only available until inventory levels out or until we run out of stock. A huge variety of items are on sale, so shop clearance first for the best deals while supplies last. Get a Different Coupon - Sign up for our email list to get new deals each week, exclusive only for our subscribers. When you sign up you will receive promo codes, freebies and giveaways, tips and tricks, and more. Give us a try and we will send you a $10 off coupon that you can use immediately on any order with a sub-total of $50 or more. You can unsubscribe at any time. Follow us on Social Media - Plus, you can also follow us on Facebook, LinkedIn page, Instagram, Twitter, and YouTube for exclusive offers only available to our social media fans. Questions? Call us at (866)537-2244 (866)537-2244 or click live chat on your screen for help. Exclusions: Binding101 promo codes are subject to change without notice. Coupons (whether listed on this page or elsewhere) cannot be combined with any other offers or discounts, including (but not limited to) additional coupons, bulk discounts, clearance prices, special discounted quotes, price match quotes, resale or wholesale quotes, etc. Coupons must be used during the ordering process, and cannot be applied to any order after it has been placed, shipped, or delivered. Void where prohibited by law.